The more you know about consumer identity data, the better you can drive your marketing strategy. 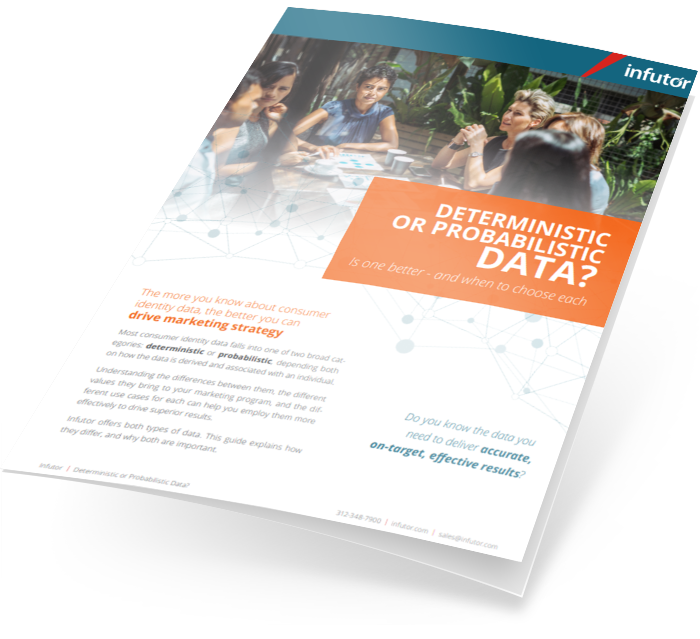 Your data provider should be transparent about the data they offer and its applicability for your marketing or analytics uses. Most consumer identity data falls into one of two broad categories: deterministic or probabilistic, depending both on how the data is derived and associated with an individual. This recent tip sheet explains how they differ and why both are important.